Zucchini Brownies, Just try it! 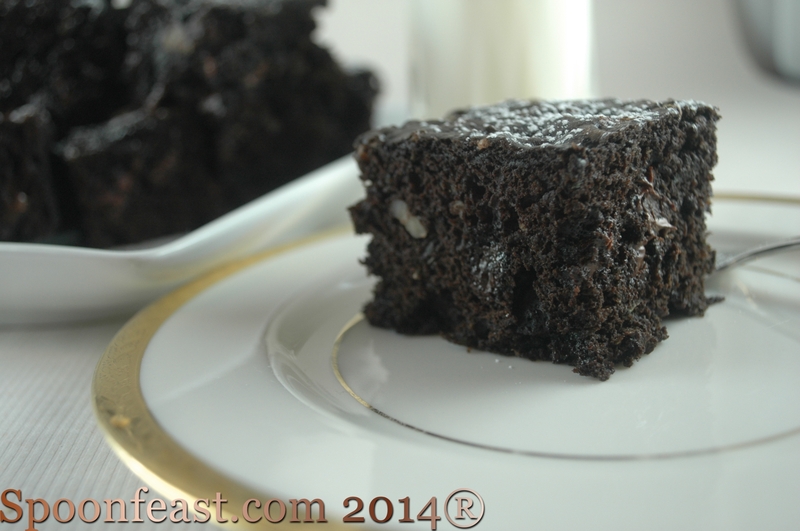 Zucchini Brownies are a great way of adding vegetables to your families diet. Unless you tell them zucchini is in the mix, they simply won’t know. 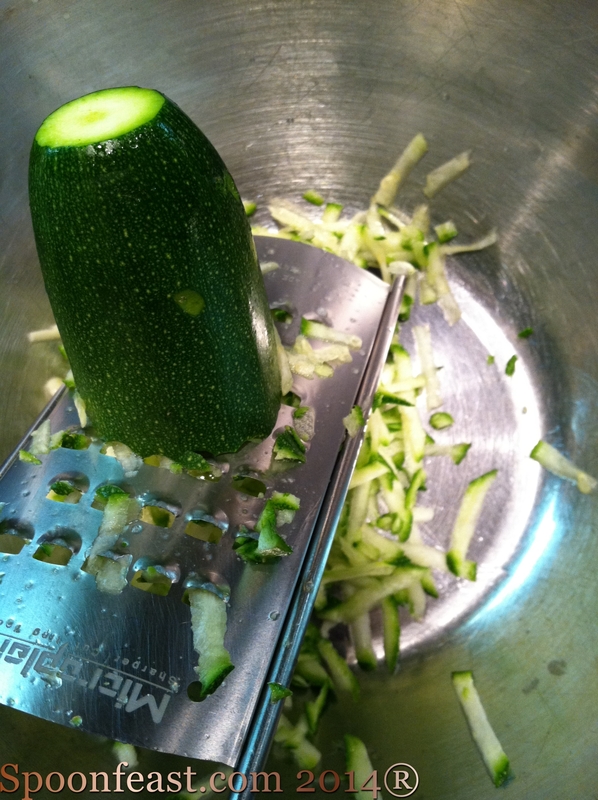 The secret here is to finely shred the zucchini so it ‘melts’ while baking. You can’t expect it to be undetectable if you put big chunks in the mix. This is a great way to get some vegetables into your meat and potato family members. This recipe follows the formula of replacing the fat in the recipe with vegetables. 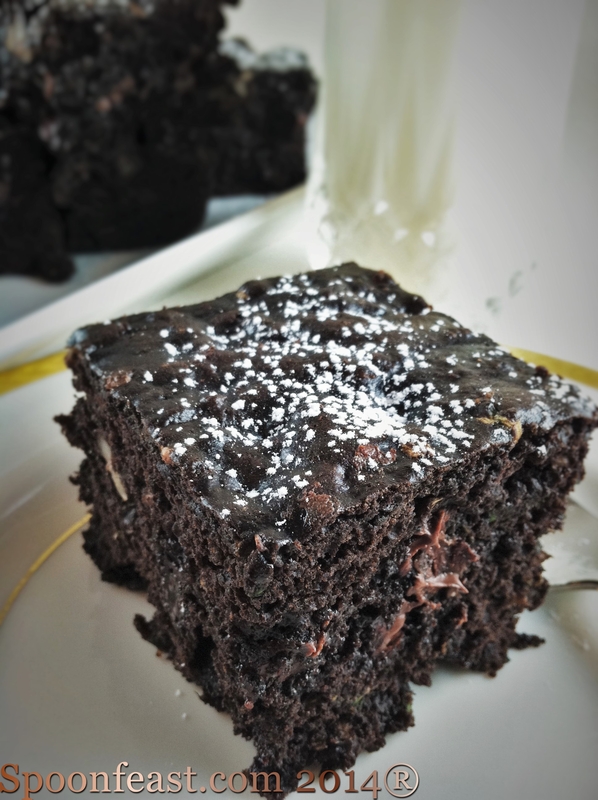 The shredded zucchini adds the required moisture that creates the most gooey, fudgy brownies; you won’t believe they are full of zucchini. I’m looking forward to trying zucchini in other baked goods to see how it goes. I imagine a carrot zucchini cake? Butter a 9 x 9 baking dish. Combine sugars, egg and vanilla in a mixing bowl on medium speed. Add flour mixture to zucchini mixture on low-speed, mixing only long enough to combine the ingredients. Spoon the mixture into the prepared baking dish, smoothing it evenly in the dish. Bake at 350°F for 30-35 minutes. Remove the brownies from the oven and cool on a rack. Cut and remove from pan after the brownies have cooled to room temperature. 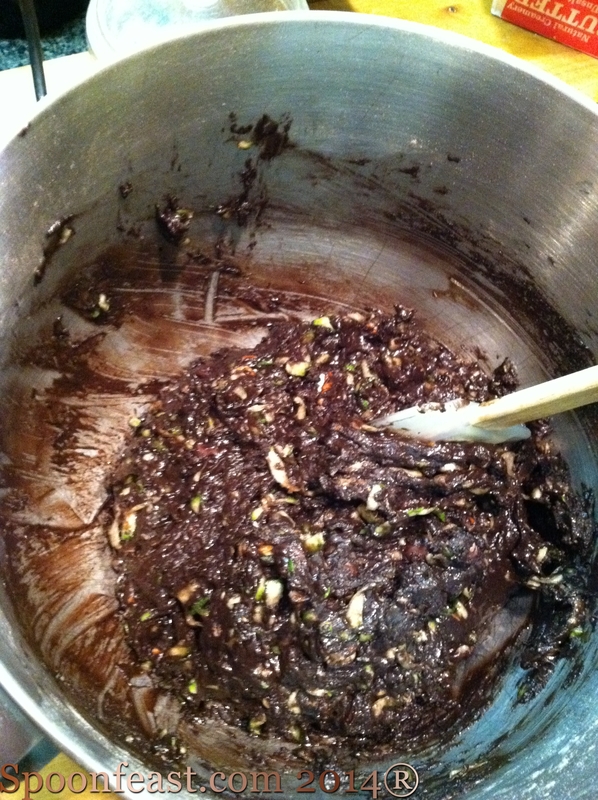 This entry was posted in Recipes and tagged Shredded Zucchini, Zucchini Bread, zucchini brownies. Bookmark the permalink. Be ready for a chocolate explosion! well, zucchini bread is a tasty Fall recipe, so why not brownies…..
Pingback: Make Almond Milk – It’s So Easy!